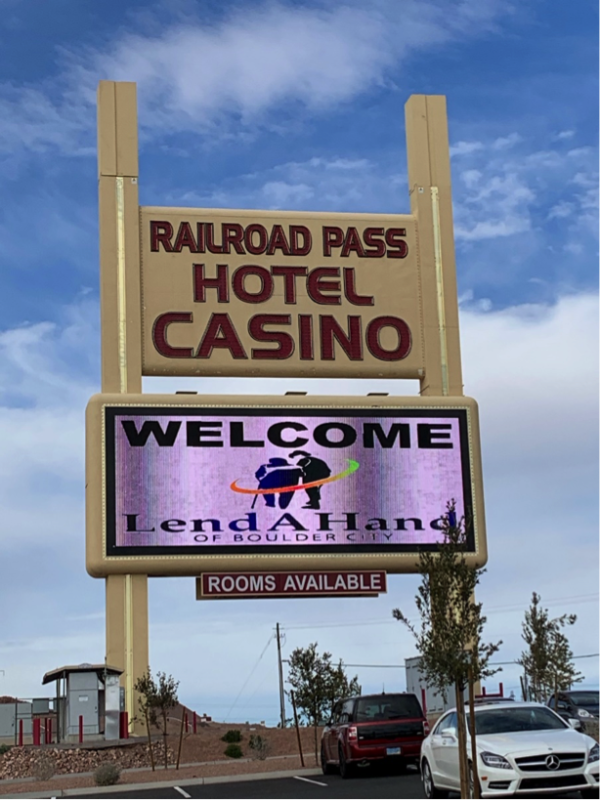 You are here: Home / Business News / What’s Happening At Lend A Hand? What’s Happening At Lend A Hand? In early January Lend a Hand of Boulder City celebrated with our volunteers at a Brunch at Railroad Pass. It was a great time to socialize and enjoy a lovely meal. The food was wonderful thanks to the dedicated staff of Rail Road Pass. They even recognized our organization on the Marquis! Salome Jarvis, a long- time board member was responsible for the planning of this event. Our entertainment was provided by Dance Etc. Everyone enjoyed the energy and exuberance displayed by the cast members. Volunteers are the core of our success and we appreciate their dedication. If you’d like to learn more about their services or become a volunteer, you can visit their web site HERE.